A few years ago I took home a leftover bag of teff flour from the test kitchen, and it sat in my freezer unused, as I never quite knew what to do with it. At least, that is, until I read Flavor Flours by Alice Medrich, expert in all things sweet. 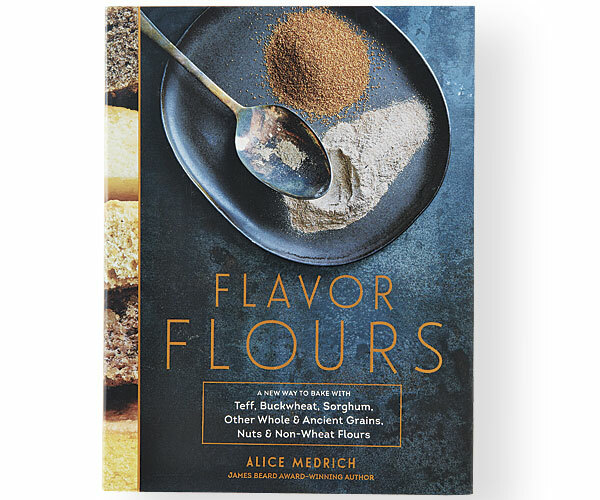 In her newest book, she explores the unique flavor profiles of teff, as well as buckwheat, rice, and other non-wheat flours. Teff’s notes of cocoa and hazelnut, for instance, make for divine deep-chocolate brownies, while oat flour adds butterscotch aroma to a basic sponge cake. Medrich’s style of offering building-block recipes, with detailed notes about how to tinker with them, makes me excited to explore the aisle of alternative flours at my supermarket-not because they’re gluten-free but because they’re delicious.